The new navigation system uses drag and drop within on main menu rather than linking multiple menus. Here's a few examples and links on how to use nested menus. 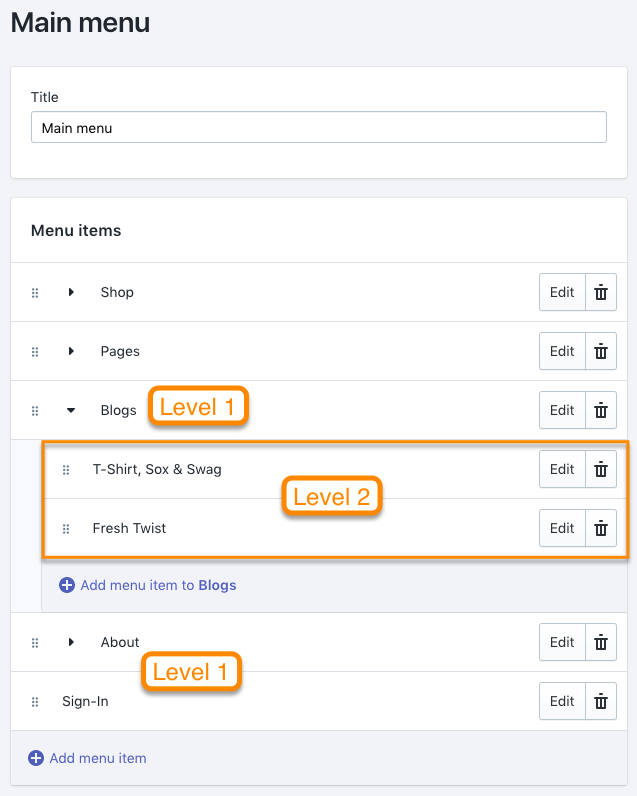 In the Main Menu, Blogs is a Level 1 menu item (Shop, Pages, Blogs, About and Sign-in are all Level 1 menu items). 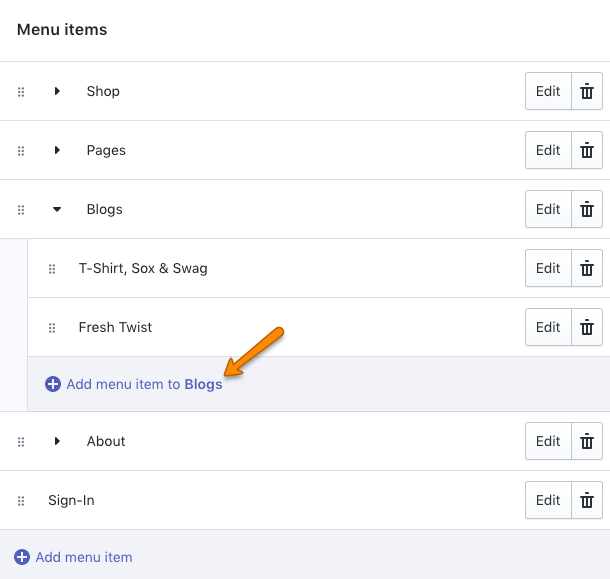 After dragging and dropping to create a drop-down, I can use the "Add menu items to Blogs" link to create additional new child menu items to Blogs. How do I create a meganav in Pipeline with Nested Menus?